Alarm Clock Conspiracy - An interview with Chris Carter. "We've been around for for five years and have developed a reputation for being reliable, punctual, and a band that is tight and Professional." Alarm Clock Conspiracy is a rock band out of Asheville, North Carolina. They have steadily built a nice following and can play in any situation... electric or acoustic. The five piece group features: Ian Reardon - Guitar/Vocals, Chris Carter - Guitar/Vocals, Wes Jameson - Bass, James Hurlston - Bass, John McKinney - Keyboards. The band originated as an acoustic duo of Ian and Chris, and grew into the current lineup. in 2012 they released their first self titled album. ACC drew a lot of attention, and did very well with great reviews. They continued to play packed rooms and blend a variety of styles into their music: pop, progressive, as well as vintage classic rock. They recently completed the follow up album "Harlequin" which was produced by legendary Athens, Georgia producer John Keane. John has worked with groups such as REM, Wide Spread Panic, Indigo Girls, Warren Zevon, and is the go to guy in the region. The album contains the special guest artist Randall Bramblett, who has collaborated with Greg Allman, Bonnie Raitt, Traffic, and other celebrated artists. I recently caught up with Chris Carter of ACC. R.V.B. - This is Rob von Bernewitz calling from Long Island New York, how are you? C.C. - Hey, doing ok.
R.V.B. - That's good, did you guys get snow down there? C.C. - Oh man, did we get snow. (Hahaha) The sun has been out and it's been melting the roads so it's no problem driving around, but yeah, we got dumped on. R.V.B. - Was that like two days ago? C.C. - Yeah, on Wednesday night. I looks really beautiful though. R.V.B. - I can imagine. Did everyone handle it well? C.C. - Yeah, pretty good. We had to move band practice to the next night. I'm sure you run into that kind of stuff up where you are also, where you have to move plans around. R.V.B. - We've been having to move every Monday this whole winter around. Every storm seemed to hit on Sunday night. All the kids in school got screwed up. We'll get through it. So your bio says the hills of Asheville... what is the surroundings like down there? C.C. - Well, it's referring to the Appalachian mountains. It's the longest mountain range in the world as I understand it. We all live in a fairly hilly place here. I think the elevation is Asheville is 2000 feet. The foothills of the Appalachians are nothing like the Rocky mountains or the Alps. You've got Bluegrass, that came out of this part of the country and some cool musical heritage coming out of here. R.V.B. - Does it mix with the influences of the band? Your songs have a mixture and variety to them. C.C. - Yeah, and oddly enough for a band that's out of Asheville... the area where Bluegrass originated, we don't really have much of a Bluegrass sound per say. There are a lot of bands in Ashville that do. Speaking from me personally, there's two primary songwriters in the band, me and Ian... the two guitar players. My influences are primarily 60's and 70' music and a lot of times I'm kind of an anglophile, and referring to all of the British bands of the period... The Beatles, The Kinks, The Who and the American bands The Byrds and The Beach Boys. There's just something about that era. R.V.B. - That's all good stuff that you mentioned. C.C. - Yeah man, that's kind of our influences. I guess we're kind of showing our age, being in our 40's. We were barely alive when that music came out. R.V.B. - The music doesn't die... it's still popular with the kids of today. I see that you not only play the guitar and sing but you also play the drums? C.C. - I feel more confident behind a drum kit then I actually do behind a guitar, which is odd considering that I'm the guitarist in this band and I sing. It's certainly a lot easier to sing playing the guitar then it is to sing and play drums, which I have done in other bands with varying degrees of success. I started playing the drums when I was ten. R.V.B. - How did you hook up with Ian? He's from up north by me right? C.C. - Yeah, he's originally from Boston. I moved up here from Birmingham not knowing anyone. My girlfriend who I'm still with, and is full of ideas said "Why don't you put an ad in the paper and go meet some folks". I think she was just trying to get me out of the house. I was just kind of stagnating in Birmingham with my job and my situation... and I saved up a bunch of money. R.V.B. - It was time for a change? C.C. - (Hahaha) Yeah. I heard a couple of good things about Asheville, and I thought "What the Hell, I don't know anyone here, I don't have a job here, but I've heard good things so I'm just gonna Hail Mary, and do this." Within a month of being here, I got a job at the Biltmore Estate at the winery... where I'm still at, and met my partner who I'm still with. Anyway, I was living with her and she said "Why don't you put an ad in the paper and try to find some people to play with?" So I put the ad out and I went to various people's houses. I met a lot of people playing uninspired blues. Then I went to Ian's place and listened to him play. He was a songwriter as well, and he had a good grasp of melody. We both had some of the same influences... and we were throwing the same names around, King Crimson, Frank Zappa, Gentle Giant. R.V.B. - That's the prog side of things. C.C. - Yeah, yeah and we do that kind of stuff too, but to a lesser extent. I think this new album is definitely more pop oriented, and that's largely due to John Keane's involvement... the engineer/producer. R.V.B. - That's a pretty prestigious studio from what I understand. C.C. - He's got a long history... REM, Wide Spread Panic, all the Athens bands that are now fairly well known. He's been in the business for 30+ years. We submitted about twenty different songs to him and he picked out the ones that he thought were maybe more commercial. At the time we thought we'd be on a record label. I wrote "Got My Mind Made UP" in 1994, so some of these songs are old songs. He picked out the ones that he thought would do well and we just kind of went with it. R.V.B. - I was very impressed with that song by the way. The harmonies were very good. C.C. - Well thanks man, I love the hell out of harmonies... that's what I'm all about. R.V.B. - I hear them throughout the songs that I sampled. It seems to be the strong point. You guys sing very well. Now "Skygazer" on the new album started off with kind of a progressive feel to me. C.C. - Right, and with you saying that, I can agree with it. It wasn't something I thought about. A lot of these songs I came up with I had written by myself, before I was even the band... just sitting at home with a 4 track cassette recorder. I was just coming up with ideas. R.V.B. - Where did you get the title track name from... Harlequin? C.C. - Harlequin... Ian had a song called Harlequin, and he could probably explain it better than I could. It was just indicative to what he was going through at the time. He was really the one who had the whole idea, regarding the artwork and how it reflected us teetering on the edge of the stage there... the brink of something which ended up not really happening. (Hahaha) We kind of came back to square one. He has more of an idea of the visual aspect of things and I'm more of an audio guy. If he's inspired, "Hey, go with it". R.V.B. 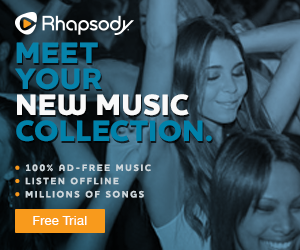 - Which songs did Randall Bramlett play on? C.C. - Randall played on "To My Lost Friend" and I believe "Something Tell Me". R.V.B. - There is nice pedal steel guitar work on a few songs. C.C. - Yeah, there's some of that too. John Keane's playing is all over that album. He threw in pedal steel... the guys a wizard. He put in tambourine, he played on acoustic guitar, he threw in some organ parts in the backround. Skygazer had a serial keyboard in the beginning. We're grateful for his input. R.V.B. - I noticed on Harlequin... I'm bopping along with the melody and I have to say "I wasn't expecting the ending". C.C. - (Hahaha) There's the prog side of things there. R.V.B. - The chords were expensive. The timing was unusual. C.C. - Yea, that's Ian. He'll come out with some stuff that's kind of out in left field, and I love that element of surprise. R.V.B. - It was a pleasant surprise. The song was moving along with the standard G song feel, and then all of a sudden, "Well, how about this guys?"... very clever. How is the local scene as far as original music? Are there clubs around that promote original music? C.C. - There are a lot of venues in Asheville to play at - which is beneficial - but consequently, there are a lot of bands vying for those gigs. We've been around for five years and have established a reputation for being reliable, punctual, and a band that is tight and professional. We've established relationships with these venues as a result. Asheville has around twenty different brewery's, and those are the venue's that we typically play at. C.C. - Yeah man, come on down to Ashville. There's good beer here. R.V.B. - So let's say the album takes off, are you guys ready to pack up to go support it and hit the road? C.C. - We're chomping at the bit to get out there. If it takes off, we're more than ready to get out there and capitalize on that. We've also come to realize that we need other people to be handling the business side of things. We now have a publicist and in time we're gonna look at someone else doing the booking. Musicians are artists, and we're not always businessman. You need someone else who is fluent in that area. R.V.B. - It sounds like a good idea because you'll get help getting better exposure. It's a slow process but it gains momentum. C.C. - Yeah, we've been playing for five years and we've slowly built up a nice following. There's a lot more to being in a rock band, than showing up and looking flashy. There's a lot of behind the scenes work that people are not normally aware of. R.V.B. - Number one, the practicing that's involved. If you want to be a really good band, you have to practice a lot. C.C. - Amen, we practice every week. R.V.B. - I gather you guys reached your goal to garner up enough money with your ground roots program to get the album released. C.C. - We ended up making about only a quarter of what John Keane's fee was. This is a testament to John, that he wanted to go ahead with the project. I just can't say enough about him and what he has done for us. There was an understanding that the record label was going to foot the bill, so he understood our position and where we were at. We were going to do anything that we could do to raise the money. He said "You know what? That's fine - this is too good to stay on the shelf. People need to hear this". R.V.B. - He sounds like a really upstanding guy. We need more people like that in this world. C.C. - Amen, and to hear that from someone like him... that's been in the music business for thirty years, means a hell of a lot. R.V.B. - What are your guys current plans? Are you taking a breather from writing and playing out to spread the word on the new album, or you still coming up with new stuff? C.C. - Well we've had a few distractions and bumps in the road, but we're starting to get back to writing material. I personally had a few years of a dry spell. In a couple of weeks we're going to go up to the drummers parents place up in Barnardsville... which is north of here. We have a weekend retreat just about every year. We go up there - bring some alcohol and have a good time, but we're also recording and coming up with stuff. So this is no time to rest. R.V.B. - That sounds like a fun time. Well good luck with your new album. Congratulations, keep up the good work. It sounds like you guys are on the right track. C.C. - Thank you very much, I appreciate it.